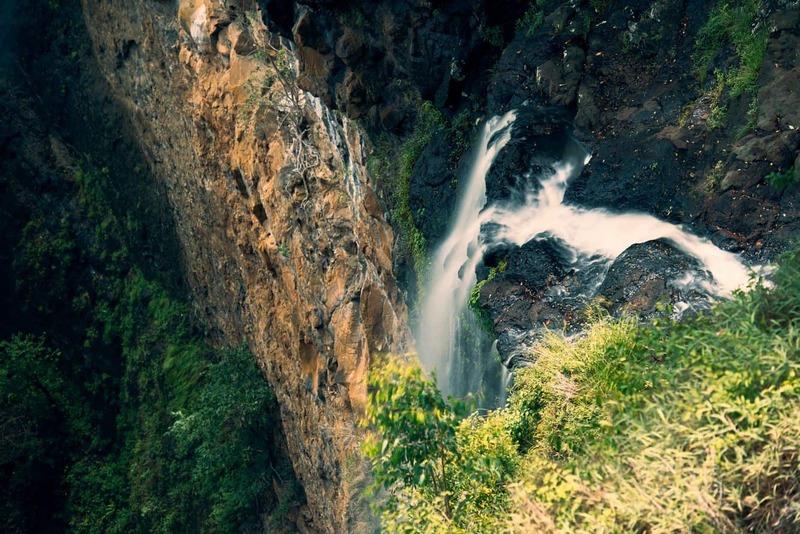 Mapleton National Park is located approximately 105 kilometres north of Brisbane within the Sunshine Coast hinterland. 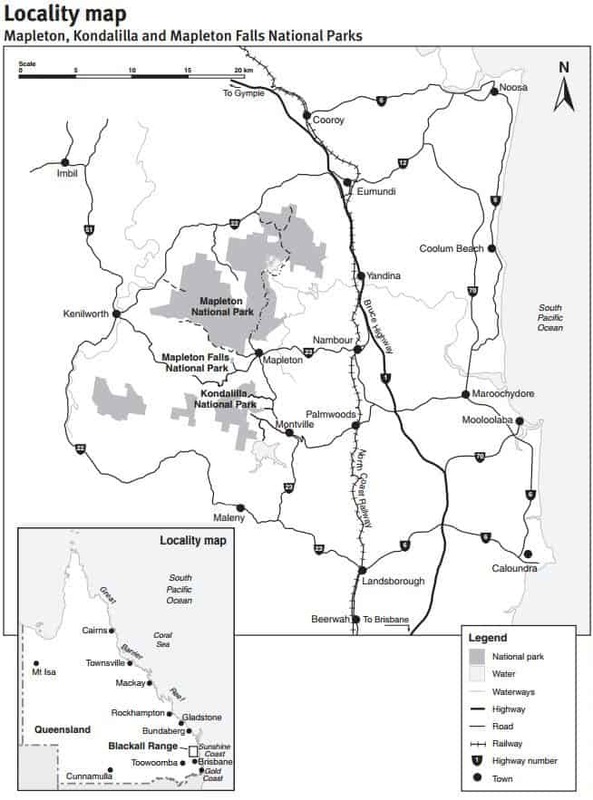 Located on the northern end of the Blackall Range, this forest reserve is responsible for protecting diverse forest species such as bunya pines, tall open blackbutt forests and piccabeen palm groves. 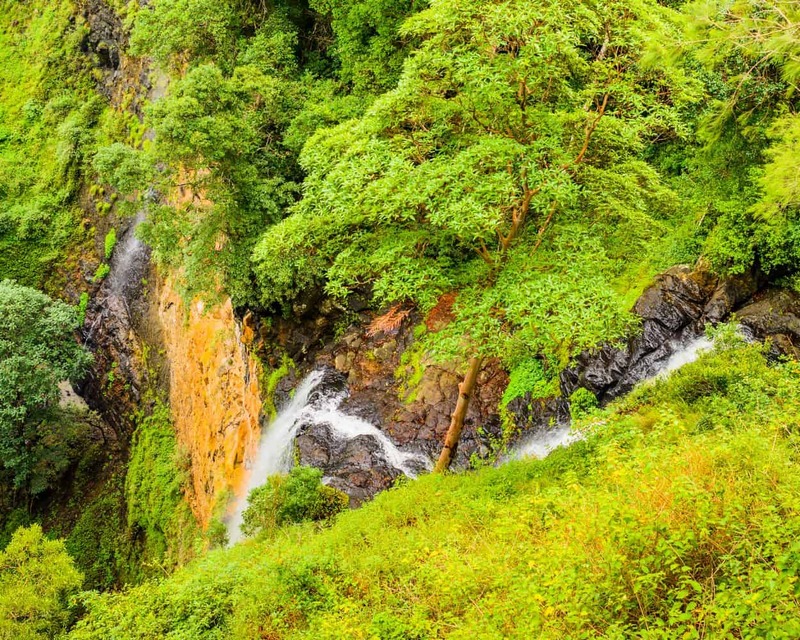 On your way through Mapleton Forest Drive, stop at Poole’s Dam and take a walk to the top of the waterfall to get a beautiful view of the forest valley. The Forest Drive ends at Point Glorious where you will be treated to a spectacular view of the coastal area and the Sunshine Coast Hinterland. Four wheel driving is also popular here with many people reaching the Point Glorious area by 4WD vehicles (in dry conditions only). Mountain bike riding and horse riding is also permitted on designated tracks and on vehicle tracks unless otherwise signed. Horses and bikes are not permitted on walking tracks. 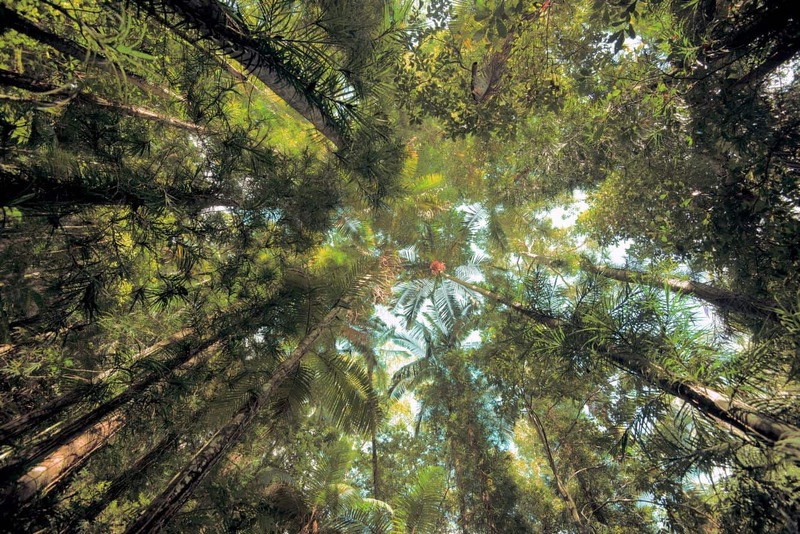 Pilularis Forest Walk: 800m, allow 20 minutes and walk through open forest and rainforest. 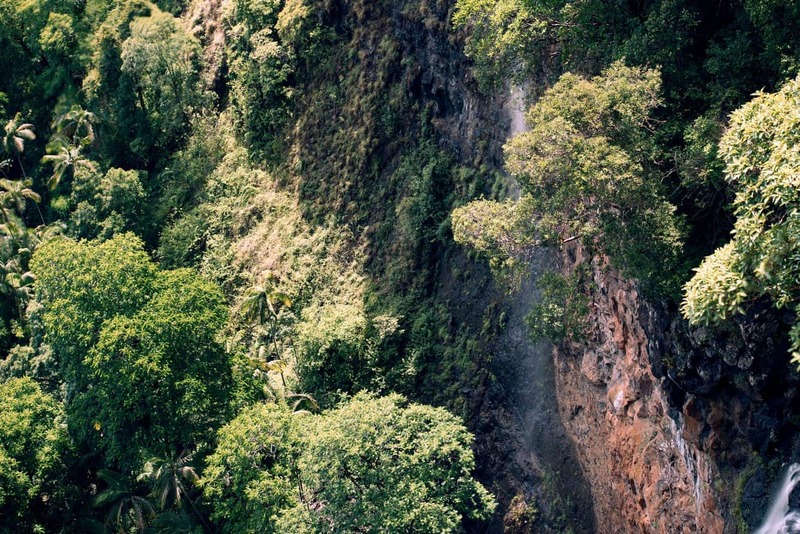 Bonyee Walk: Distance: 400m, a short 10-minute walk to see a huge bunya pine forest and palm grove. 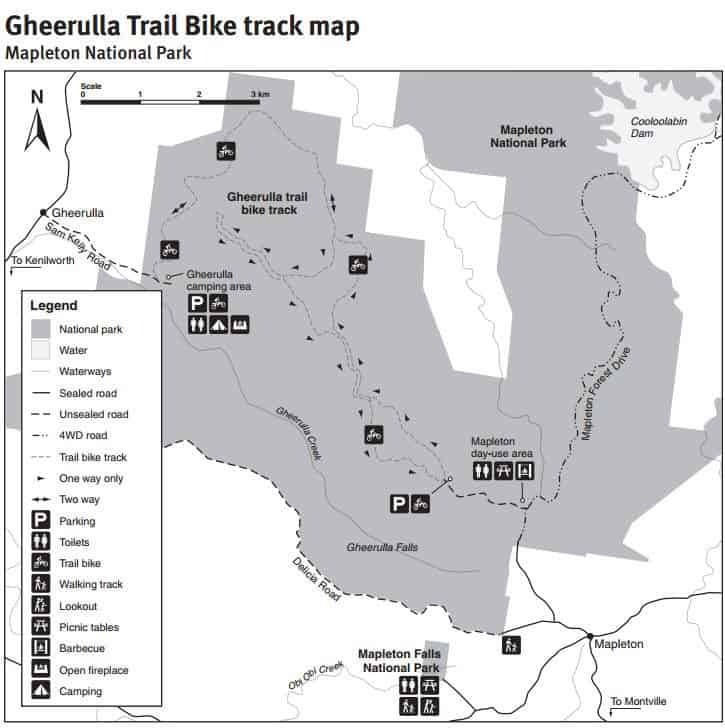 Mapleton National Park is also popular with campers as there is a small camping area at Gheerulla Creek beside the entrance to the Gheerulla Trail Bike area. There are three camping sites here with picnic tables, toilets and BBQ’s. This area is bush camping only and is not suitable for caravans. Camping permits are required and fees apply. If you don’t wish to camp within the park, click on the link below to find the best accommodation deals in the Sunshine Coast hinterland. 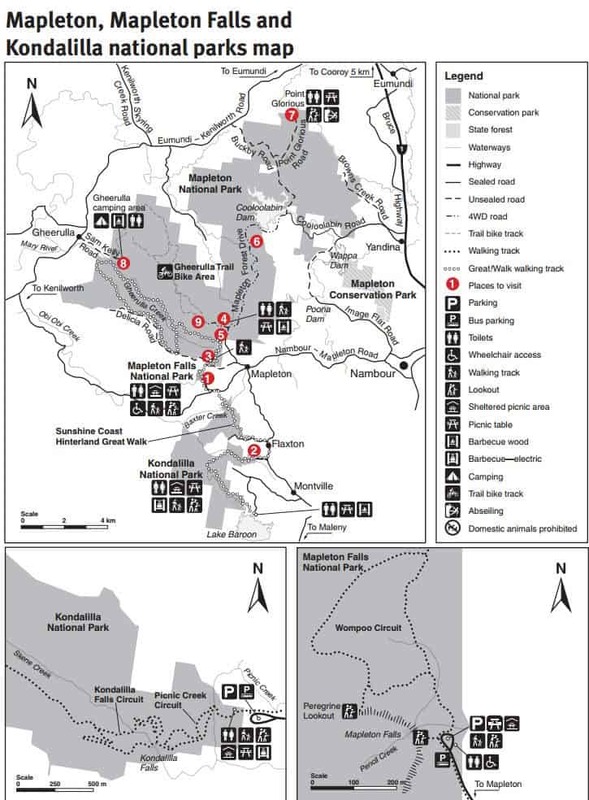 Walking tracks during daylight hours only.